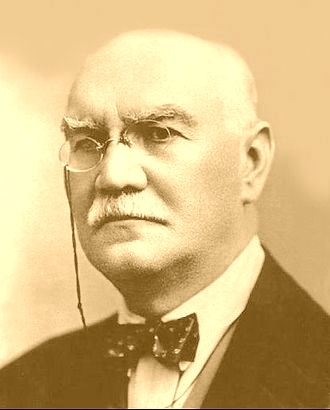 PHILOSOPHICAL REVIEW - Institutul de Filosofie şi Psihologie "Constantin Rădulescu-Motru"
Revista de filosofie appears has six issues per year and contains studies, articles and information developed by specialist academic authors in the field. 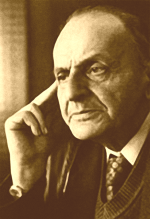 Revista de filosofie publishes studies of general philosophy (ontology, logic, methodology, gnoseology, epistemology, ethics, aesthetics, axiology, philosophy of science, mind, culture, history, law, religion, language etc). 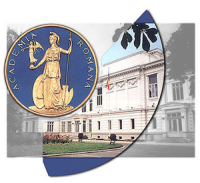 Revista de filosofie does not publish studies on the problems of everyday politics, economics, sociology, psychology and pedagogy, which are covered by other publications of the Romanian Academy. 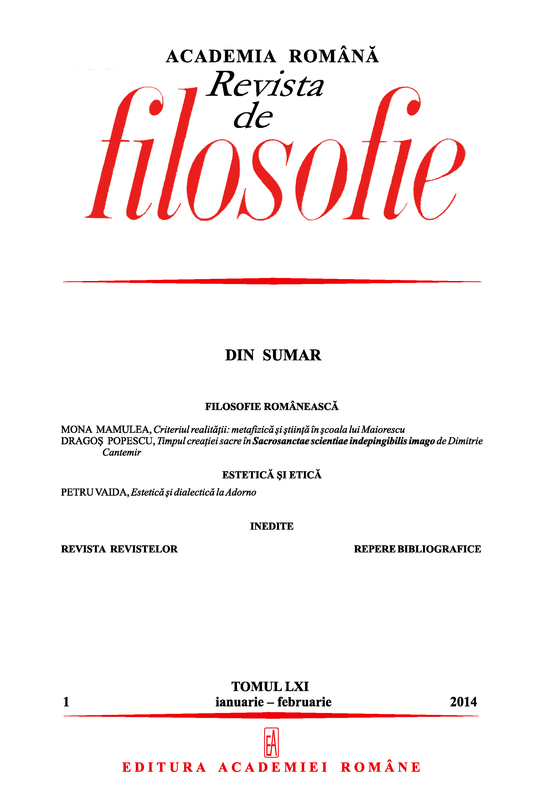 Revista de filosofie gives special attention Romanian philosophy, comparative analysis and placement of Romanian philosophers contributions in European and world context. Revista de filosofie is not partisan to any schools, guidelines or methodologies; its purpose being to ensure both their knowledge and rational debate, and to stimulate original creation in the field. Revista de filosofie is not responsible regarding the accuracy of the data and information from articles published under the signature of its employees and does not publish personal criticism or intolerant polemics against any person or philosophical orientation. Revista de filosofie publishes only selected studies and editorial selected articles. The themes of previously issues will be announced in advanced time. Unpublished manuscripts are not returned. Scientific life. Notes and information. Authors. Papers will be presented in double form: a cd processed, corresponding typing rules used in Editura Academiei Române (Romanian Academy Publishing House), and a separate written on A4 paper, in two rows, leaving a margin of 3 cm to the left of the page and 1 cm to the right. After the title will be mentioned and the author's name in capital letters on a separate sheet attached to the paper, will be recorded name, postal and electronic, phone number of the principal author for any necessary improvements and completion contacts for printing of the manuscript. Not admit any differences between the written form of the work and as recorded on cd. The text of the paper itself will be accompanied by a summary in English of up to 10 lines and a short CV. Bibliographic notes at the end of the paper will be placed in alphabetical order. The books will be mentioned in the order the author (-II). Title written in italics, place of publishing, publisher, year, volume, page (them) to which it alludes. Manuscripts will be sent to editors at the email adress: redactia@institutuldefilosofie.ro﻿ and "Revista de filosofie" at: 76 117. Bucharest. Calea 13 Septembrie nr. 13. Sector 5. Editorial corrections and changes requested will be introduced both in the written text and the electronic media with consent and careful authors. Cds sent to the editorial work will be returned after the appearance of statements once the incumbent authors.